These materials can be used to create operational prototypes and solid finished parts, while reducing manufacturing costs and deadlines. But who are the manufacturers of these industrial 3D FDM printers? Which machines offer this type of result? Which solutions are compatible with the range of Kimya materials? Marketing of Fused Deposition Modelling was started in the United States in 1990 by Stratasys. 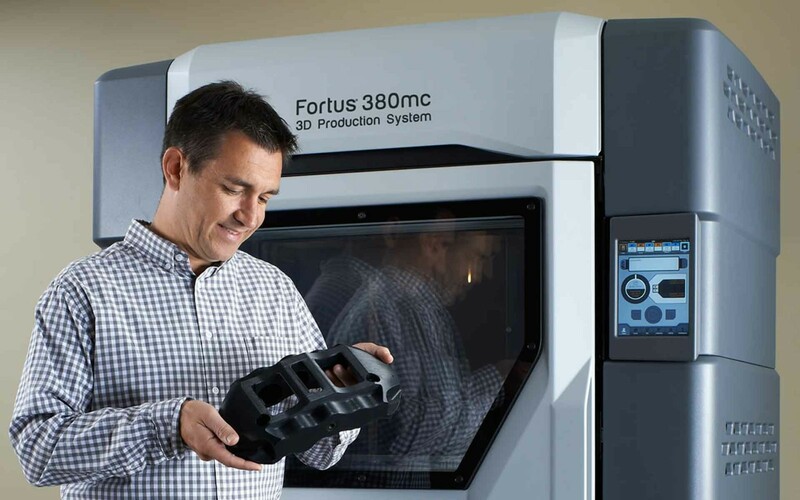 It was the first manufacturer of 3D FDM industrial printers, with its established Fortus range. This American company offers several print volumes using a wide variety of compatible materials. Very popular in the automotive and aviation sectors, these materials offer good mechanical performance and heat-resistance. Among the manufacturers of machines compatible with these filaments is the German manufacturer German RepRap, with its X1000 printer. Its print head can reach temperatures of up to 400°C enabling it to print large parts (1000 x 800 x 600 mm) using more technical materials. Its other machine, the X500, is also compatible with our PEKK Carbon, offering industrial markets a turnkey solution. Another manufacturer, Apium, can also be found in Germany. 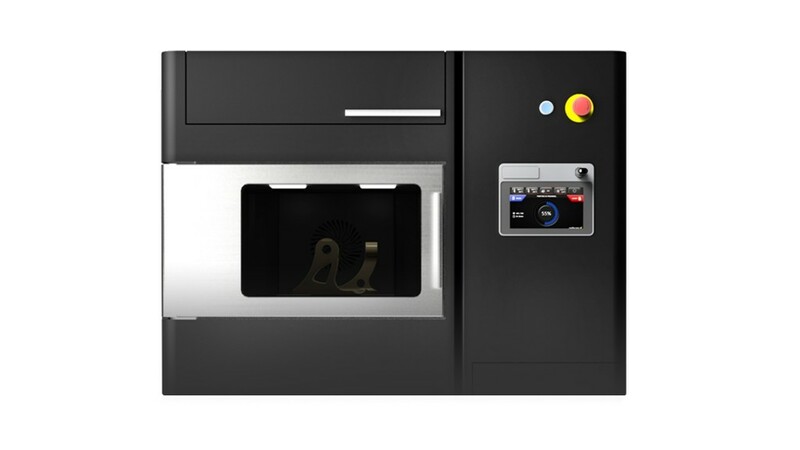 The company offers a wide range of 3D FDM industrial printers like the P155 or P220. Within the same price range, at around €50,000, you can opt for the Funmat Pro HT from Intamsys. This machine offers a print volume of 450 x 450 x 600 mm. Remaining on the European continent, we can include the Polish 3DGence machine: the INDUSTRY 340. This machine is equipped with interchangeable print heads, offering the user a range of different options. You can opt for ABS, PET, HIPS, Nylon and also PC-ESD or PEEK. The temperature of the heads can reach up to 500°C depending on the chosen model. The Finnish manufacturer Minifactory offers the Ultra, a machine compatible with PEEK, ULTEM, our PEKK Carbon and other technical polymers. Its print chamber heats up to 250°C and its head reaches temperatures of 480°C, making it a machine ideal for the automotive or aviation sectors. Lastly, a French manufacturer is now offering an industrial FDM machine, the SpiderBot. 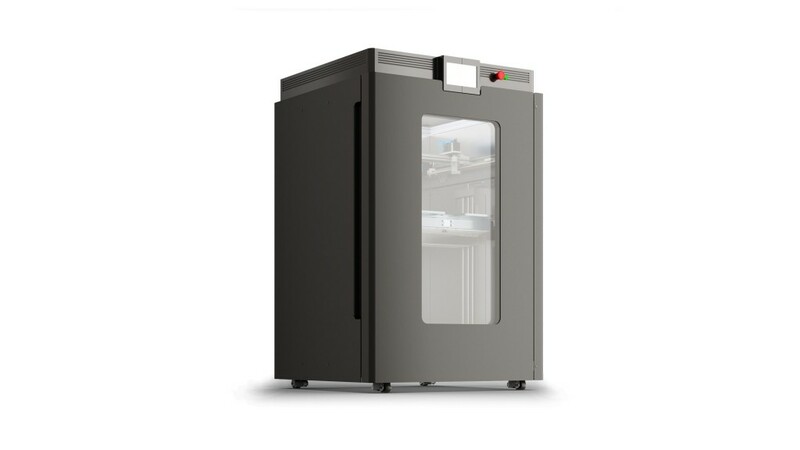 Its 3D ABSolute printer has an extruder able to reach temperatures of up to 500°C and a platform that reaches temperatures of 220°C. Finally, on the American continent, it is worth noting that the Canadian company Aon3D offers an industrial machine which is also compatible with our PEKK Carbon filament: the M-2. 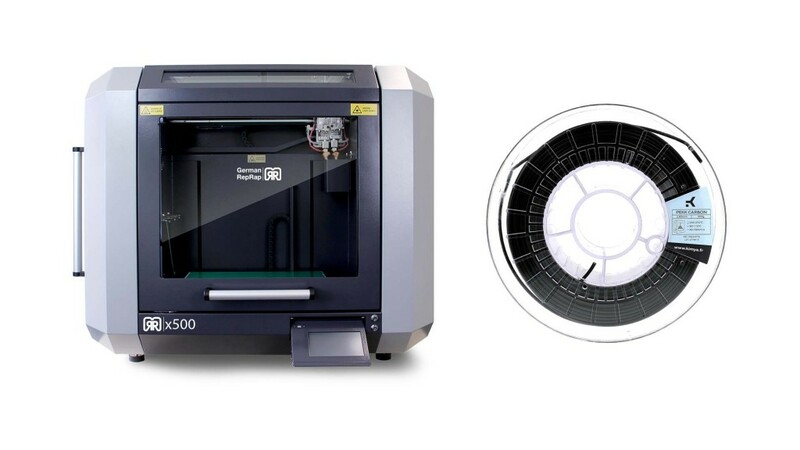 It offers a print volume of 457 mm x 457 mm x 635 mm and a speed of 500 mm/s. Equipped with a double extruder, it can be used to create parts using two materials at the same time or has the option of a duplication module to speed up production. 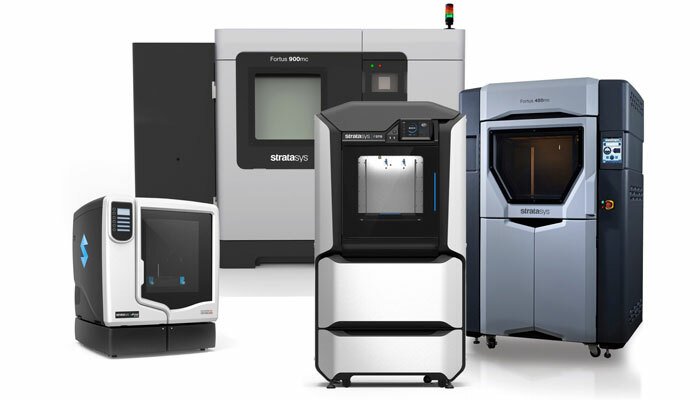 Some manufacturers specialise in 3D XXL printing and have developed machines with a print volume of up to one cubic metre. This is particularly true in the case of the German company BigRep with its BigRep One used to create parts of dimensions 1005 x 1005 x 1005 mm using a variety of materials such as PLA or PETG. An ideal solution for all industrial markets wanting to build large operational prototypes and to display initial results to their clients. It is also a very popular machine in the furniture and furnishings sector. Lastly, if we go United States side, we can include the manufacturer 3DPlatform and the source of the 3DP Workbench printer. Available from €33,900, it has a generous print volume of 1000 x 1000 x 500 mm and a wooden worktop where the operator can store his tools in drawers. It is a sort of industrial workbench, ideal for performing fast prototype jobs, product development, industrial design, etc. 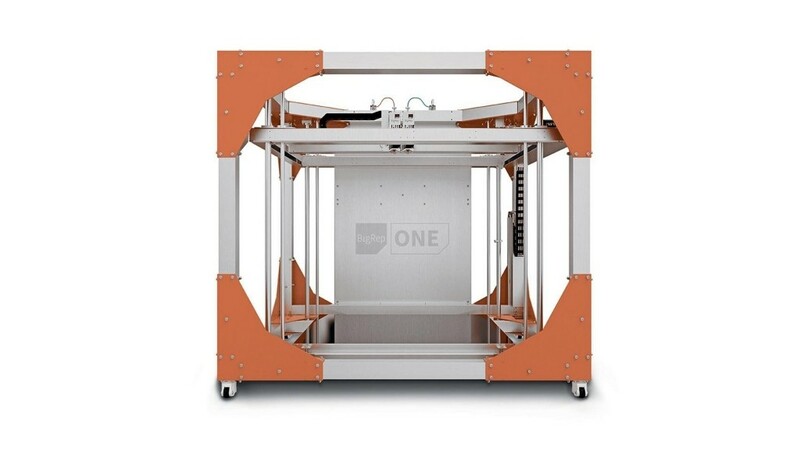 Looking for an industrial 3D FDM printer? Please don’t hesitate to contact our sales team who will be happy to advise you on the right choice and offer you a customised range of materials!